Students from the WSU College of Nursing – Tri-Cities take part in WSNA Advocacy Camp. 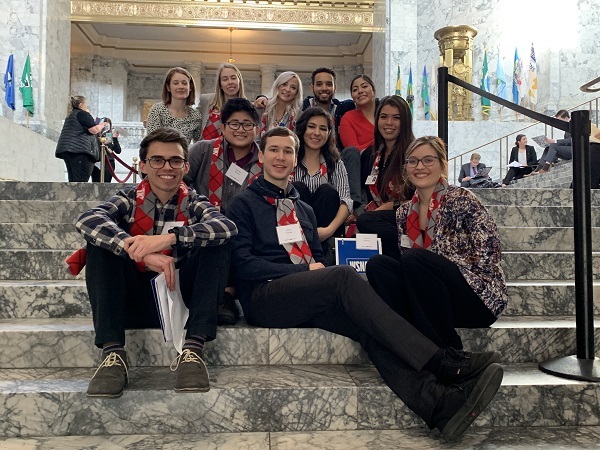 About 75 students from the Washington State University College of Nursing learned more about advocacy and government Monday in an annual event sponsored by the Washington State Nurses Association. Students from College of Nursing programs in Spokane, the Tri-Cities and Yakima took part in WSNA Advocacy Camp. The Inland Empire Nurses Association sponsored the cost of the bus and driver from Spokane. 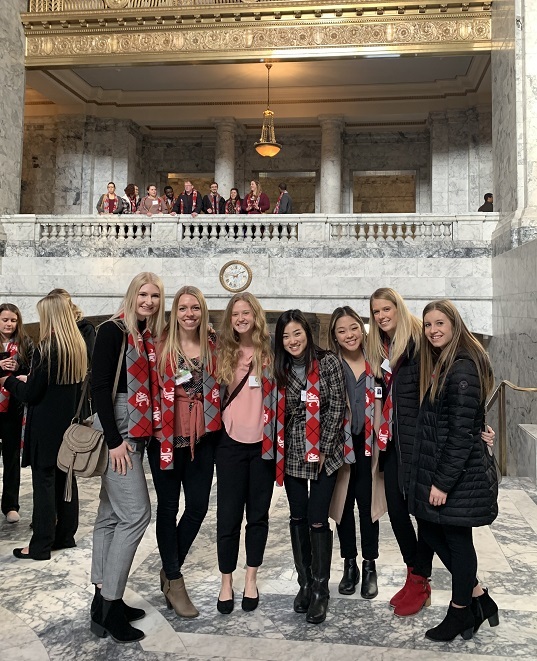 WSU nursing students take part in WSNA Advocacy Camp on Jan. 28, 2019 in Olympia. 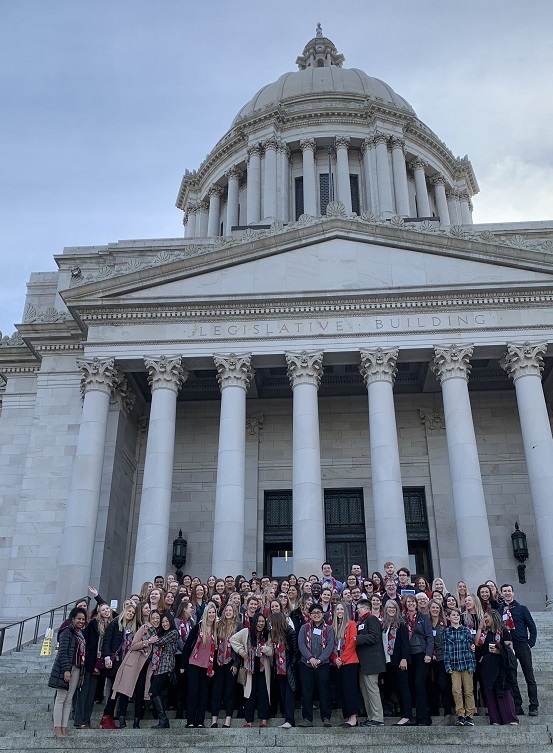 The WSU College of Nursing has sent groups of students to the annual event for about a decade, said Debbie Brinker, assistant dean of clinical affairs and one of the five college faculty who accompanied the students to Olympia. Students from the WSU College of Nursing take part in WSNA Advocacy Camp. Another benefit is to bring students together from the three sites to meet each other and network, Brinker said. 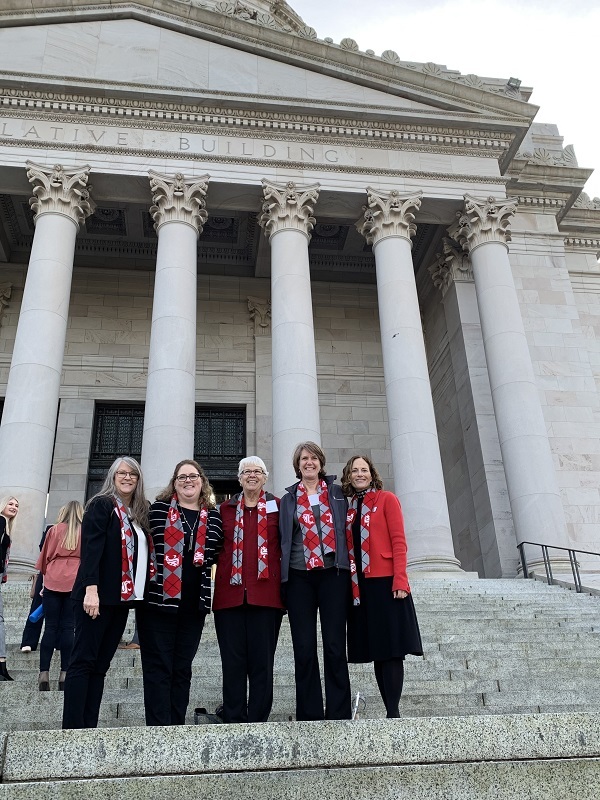 “It’s also a good way to highlight for state legislators WSU’s impact on the nursing profession in Washington,” she said. Faculty members, left to right: Kay Olson, Theresa Barenz, Laura Hahn, Sarah Griffith, and Debbie Brinker.